SILAGEPRO® B: less up front heat and shrink, longer face life, adds 100+ additional hours of feed out protection. Available in 500 gram pouches that treat 250 tons. 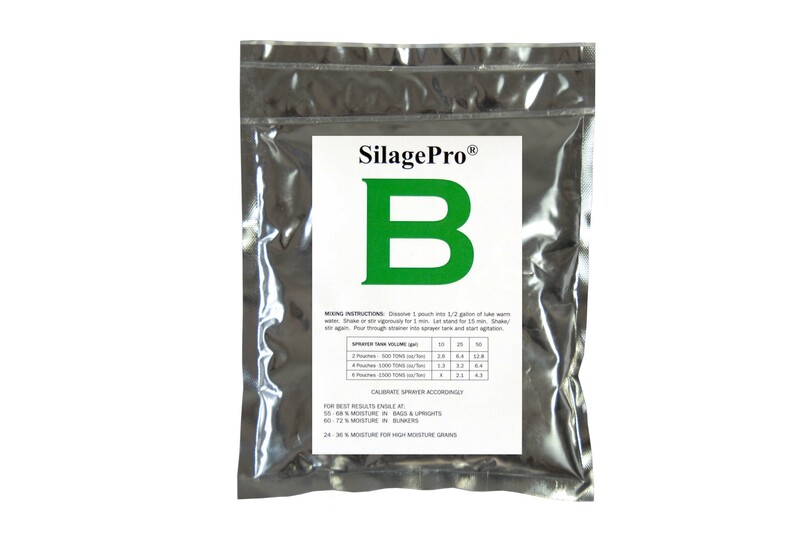 − L. Buchneri + Pediococcus Bacteria + SilagePro® Enzymes. − Adds 100+ hours to aerobic stability. Use only in well managed silage. − Should allow 6+ weeks of fermenting before feeding. − 500 gram pouch treats 250 tons. − 50lb bag treats 100 tons. Provides 500,000 CFU/g of silage. 400,000 cfu’s of L. buchneri. 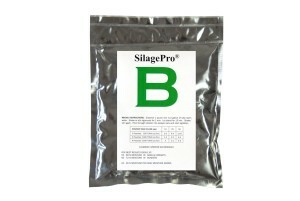 For maximum shelf life, store SilagePro® B in refrigerator or freezer.